Status Hero uses “magic” links so that no matter what device or reminder method you and your team members use, you won’t need to worry about remembering or inputting usernames and passwords. Within the check-in reminder and summary notification messages, Status Hero uses unique, secure and expiring authentication tokens, similar to the “forget your password” mechanism you’re used to. One tap/click, and you’re in. 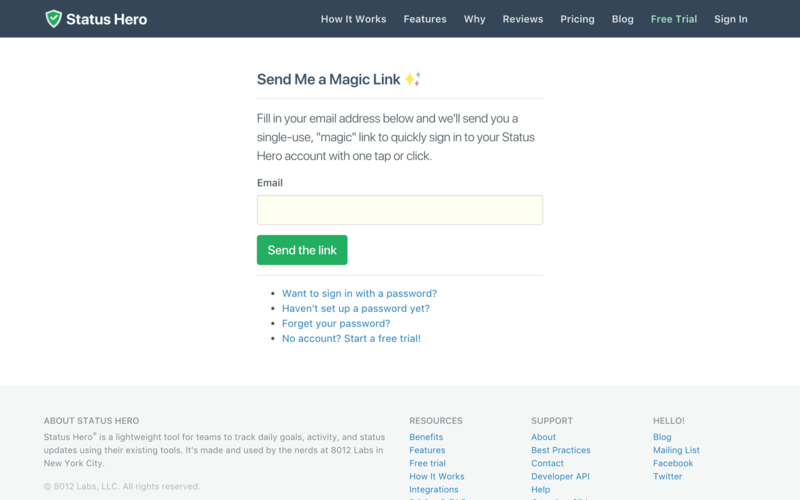 You can also request a magic link anytime you like.